Last week I posted on Insta stories that I am eating clean for the rest of the year. I am cutting sugars, unnecessary carbs, sodium and binging only on protein and fiber-rich food. Part of my diet includes a strict everyday breakfast. 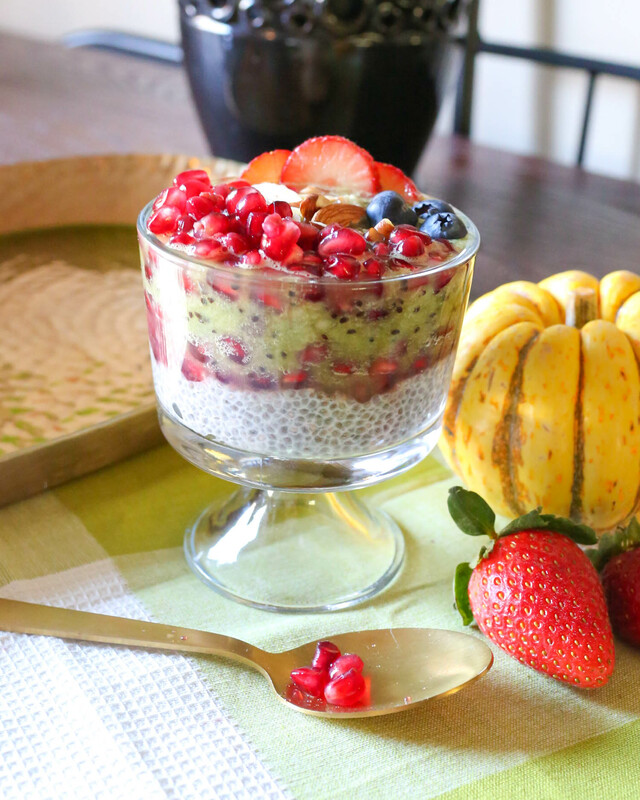 Nothing beats a fast and healthy breakfast for me than Chia pudding. It only takes 1 minute to mix almond milk and chia seeds together before bed and I have an instant breakfast ready in the morning. 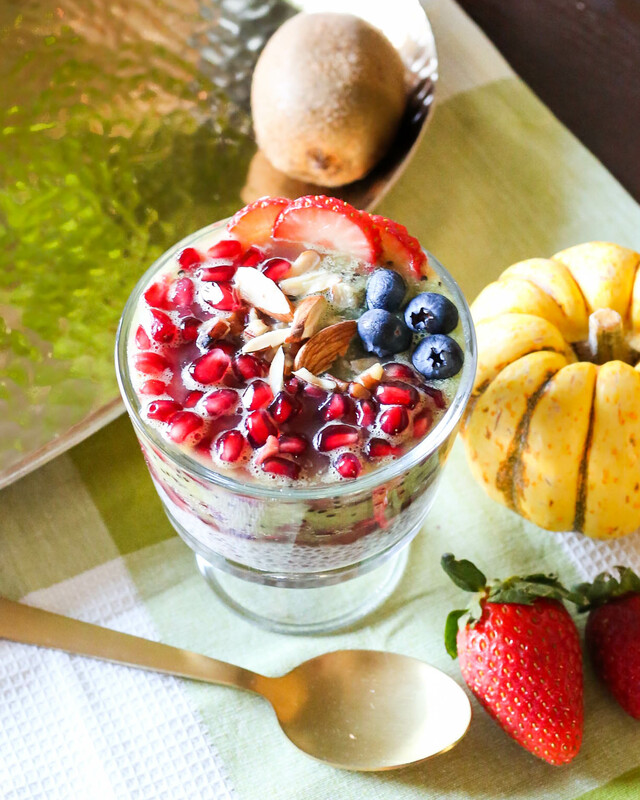 Chia is an edible seed that was first used by the Aztecs and Mayans as an energy booster. In fact “Chia” in Mayan meaning “strength”. Chia seeds are an unprocessed and whole-grain food containing healthy omega-3 fatty acids, carbohydrates, protein, fiber, antioxidants, calcium. Chia seeds are loaded with anti-oxidants equal or more than blueberries have. 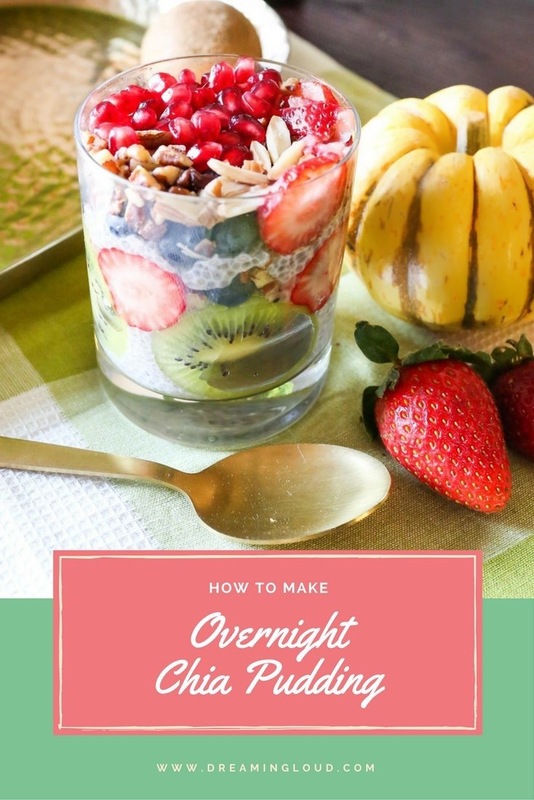 They are low in calories- Out of 12-gram carbohydrate in 1 ounce of chia seeds, 11 grams is fiber so there is only 1 gram of carbs per ounce, which is very low. Rich Fibre in Chia helps you feel full quickly and balances the insulin level which helps to treat diabetics. Chia seeds are high in top plant-based proteins. The reason why they are told to help loose weight. They are excellent if you are trying to put on lean muscle. 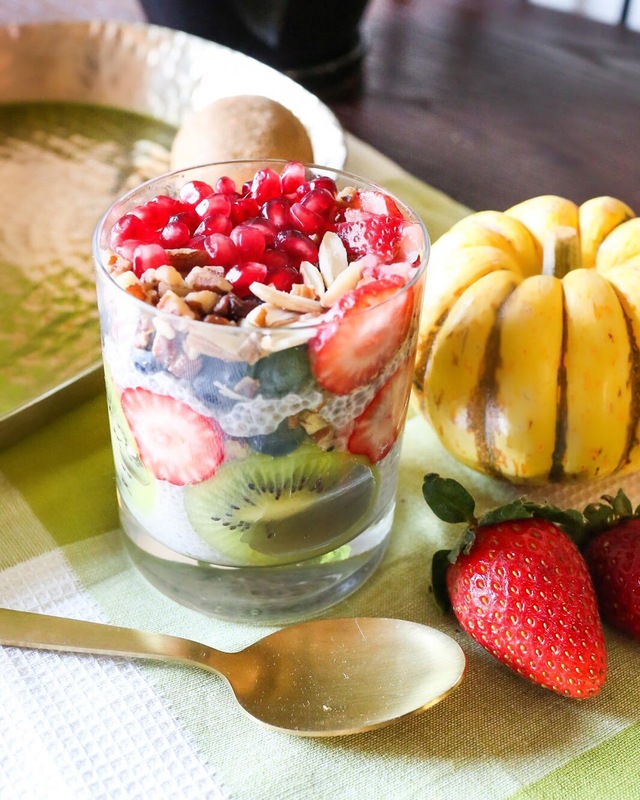 Chia pudding is very simple. It doesn’t require a recipe. Mix 3 tablespoons chia seed per cup of any milk, refrigerate or leave it out overnight. 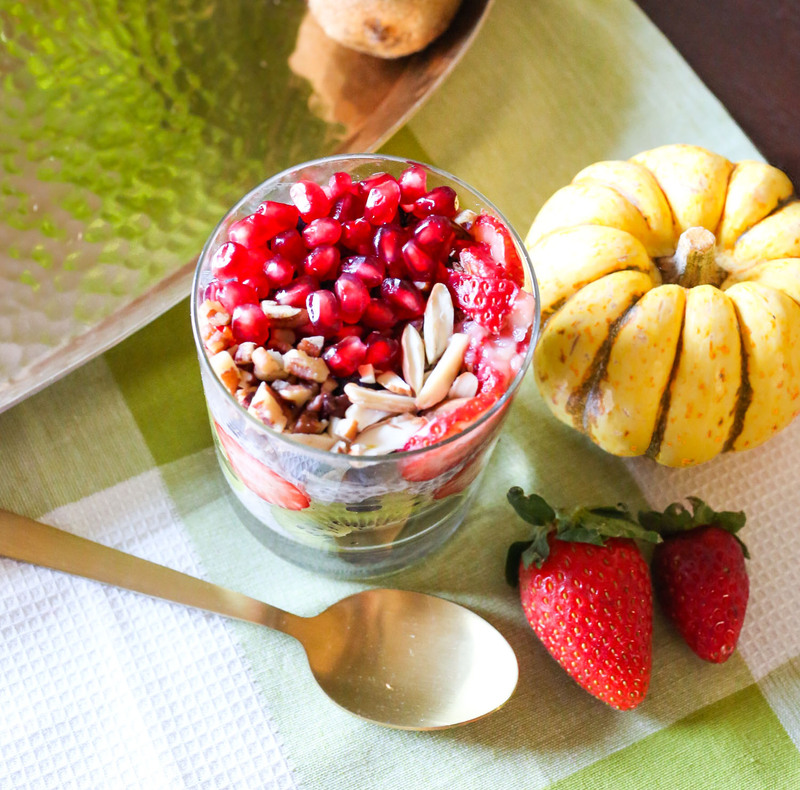 Next morning, top it with your choice of fruits and voila! 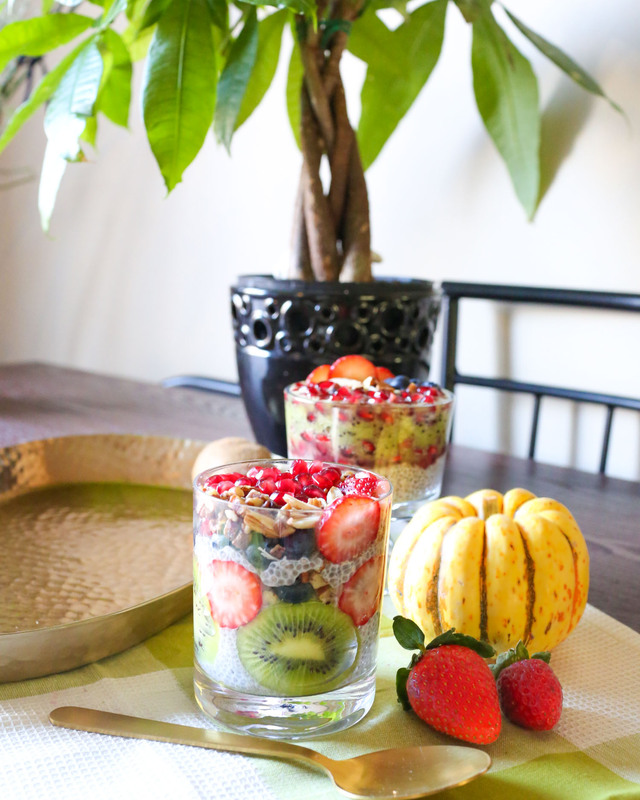 you have your instant healthy breakfast ready. I use unsweetened almond milk, but any milk would work. You can also blend fruits if you want your pudding to be sweeter. See above picture where I blended Kiwi instead of adding pieces.